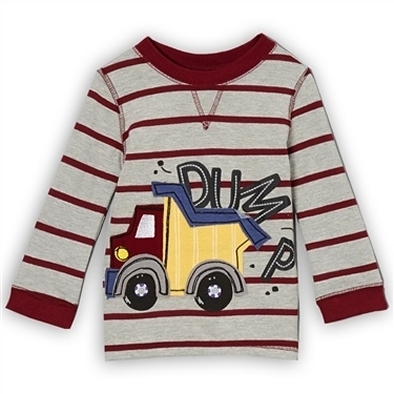 Adorable infant long sleeve jersey with an appliqued dump truck and the word DUMP. From Sesame Street Watch Me Grow Collection. A ribbed maroon and taupe stripe with maroon accent. Machine wash. Import.